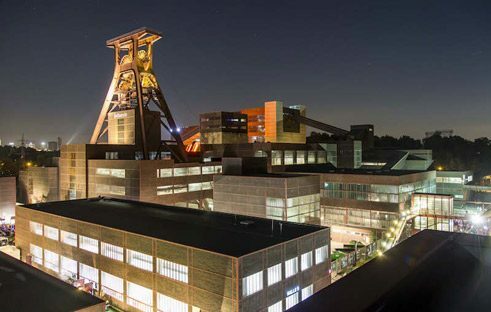 At the end of 2018 the Prosper-Haniel coalmine in the Ruhr region is due to be finally closed and this will mean the end of the coalmining era in Germany. Since the beginning of the 19th century, for almost 200 years, the Ruhr region in the federal state of North–Rhine Westphalia had been the industrial heart of Germany and one of the most important industrial regions in the world. 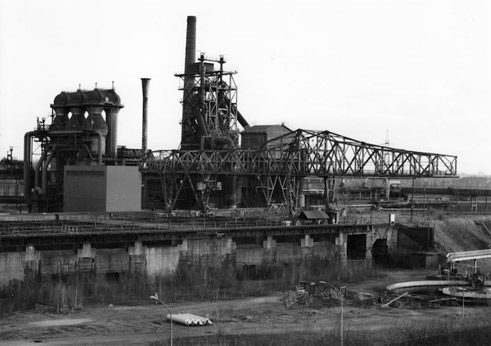 Steel was produced there, machines, weapons and locomotive engines were built there and in hundreds of small pits, Zechen as they were known in German, a material was produced that paved the way for industrialisation in general – coal. In 1956 there were half a million people working in the mines of the Ruhr region. In 2019, after the last pit has been closed, there will only be a good 300 left working there – in order to phase out what is left of the mining industry. Nevertheless the pits and other industrial complexes still play an important role in the region. Be it gasometers – those huge natural gas tanks, be it blast furnaces for steel production or pit-head towers – since the end of the 1970s many of these former industrial installations have been converted into cultural sites, among them 296 coalmines. 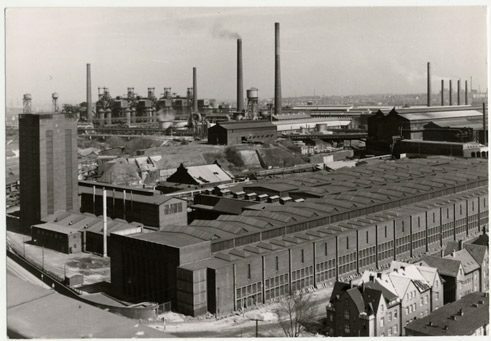 As early as in 1978 the Carl pit in Essen, which was closed in 1929, was one of the first industrial sites to be converted into a socio-cultural centre in which the people of the area were able to organise cultural and political events. Such centres came into being in Germany in the 1970s as part of a new, so-called social movement that advocated the creation of an alternative culture and an opting out of the bourgeois, prosperity-oriented lifestyle. At the Carl pit senior citizens could get together for a tea dance, homework supervision was organised for schoolchildren. Moreover the former coalmine established itself as an important venue for rock concerts in the region. 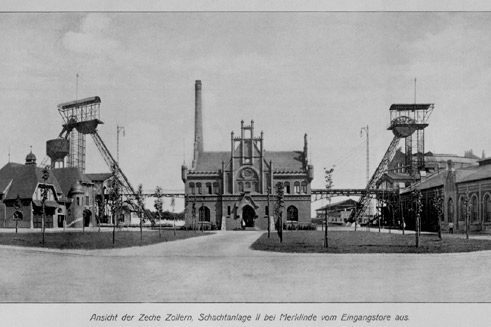 In 1989 the Internationale Bauausstellung Emscher Park (The Emscher Park International Building Exhibition), an initiative of the federal state of North-Rhine Westphalia, was launched with the aim of revitalising the region that had suffered so much from the consequences of economic decline. On the one hand they wanted to upgrade the ruins of the mines and steelworks into legacies of an industrial culture that had been unique in its dimension. In hardly any other place on Earth had the coal and steel industry produced such a dense network of industrial complexes, transport systems and urban settlements. On the other hand, the architectural heritage was to continue playing an important role in the region. 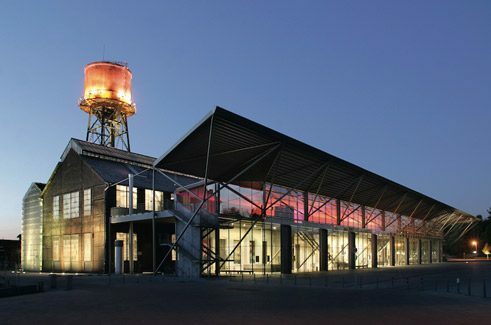 During the ten-year run of the International Building Exhibition until 1999 a great number of new concepts for the utilisation of the former industrial buildings and sites were developed. 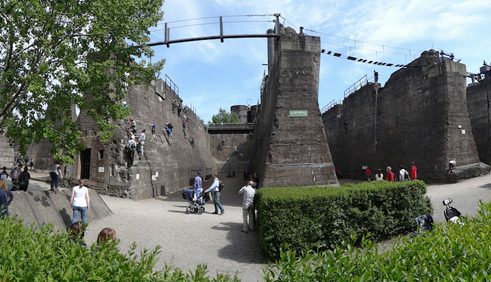 The most famous examples of this are the Zollverein pit, the Jahrhunderthalle – an event hall in Bochum and the Duisburg Nord Landscape Park. 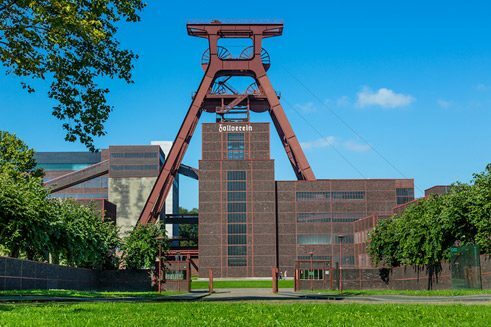 The Zollverein pit, which was opened in 1847 and operated as a mine until 1986, was declared a UNESCO World Heritage Site in 2001, mainly because of its impressive architecture. 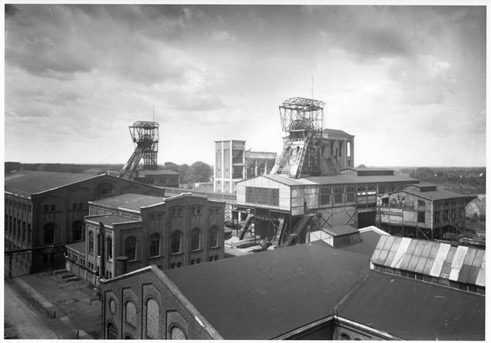 In the 1920s the mine was revamped in the functionally simple style of the New Objectivity movement. Today it is home to the Ruhr Museum and the PACT Dance Centre. It is regularly used as a venue for concerts and congresses. The Jahrhunderthalle – the event hall in Bochum – is above all known as the central location for the Ruhrtriennale, an international art festival. Many projects and performance events make full use of the spectacular architecture of these industrial monuments. The Gasometer in Oberhausen, for example, 117.5 metres tall and with a diameter of 67.5 meters, was Europe’s largest gas storage tank and from 1993 to 1994 it was converted into Europe’s largest exhibition hall within the framework of the International Building Exhibition. 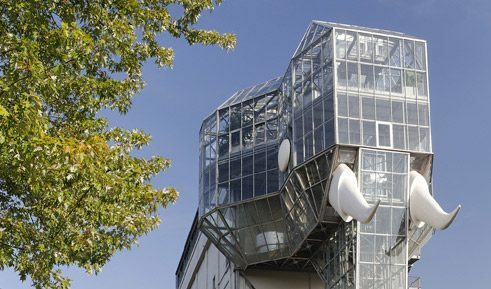 Today the Gasometer also serves as a location for the Ruhrtriennale, like the Duisburg Nord Landscape Park that used to be a steelworks complex, but these days is also used as a leisure and recreation park. 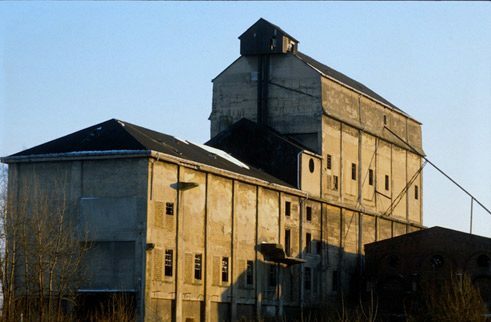 The people living in the Ruhr region – the locals – appreciate the cultural impact of the old industrial sites and pits – even if they do nothing to alleviate the problems of the region. The Ruhr region has an unemployment rate of around eleven per cent (December 2015), still way above the national average of 6.5 per cent for the whole of Germany. Nevertheless there is no doubt about it – this upgrading and revaluation of the region’s own economic past as a unique industrial culture can only serve to revitalise the region’s self-confidence. Stefan Laurin works as free-lance journalist and operates his own blog called Ruhrbarone.